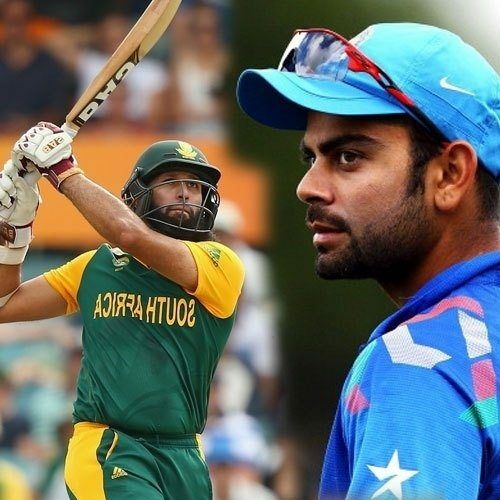 South Africa’s star batsman Hashim Amla broke the record of Indian captain Virat Kohli to reach the milestone in the lowest innings in ODI cricket by completing 7,000 runs in ODIs on Monday. Amla completed his 23rd run during the third one-day match against England at Lord’s and completed 7000 runs in one-day internationals. He played only 150 innings for this, while Kohli secured this position in 161 innings. This South African batsman had earlier broken records of Kohli’s fastest 6000 runs. Not only this, the record of completing 2000, 3000, 4000, 5000 runs in the lowest innings is also recorded on the name of Amla. The batsmen who scored 7,000 runs in the lowest innings were followed by AB de Villiers (166 innings), Sourav Ganguly (174 innings), Brian Lara (183 innings), Desmond Haynes (187 innings), Jacques Kallis (188 innings) And Sachin Tendulkar, Chris Gayle and Mahendra Singh Dhoni (all three 189 innings).